Efficient gas fireplaces are supplanting traditional wood burning fireplaces in many homes. Not only are gas fireplaces more energy efficient than their wood burning counterparts, but they are easier to light and use for many homeowners. Gas fireplaces have many benefits to offer a homeowner over wood fireplaces. An efficient gas fireplace that is properly installed can significantly add to the heat of your home, reducing the need to use your furnace constantly. Gas doesn't create ashes or the need to clean as regularly as wood fireplaces. Wood fireplaces require a place to store large amounts of wood if they will be regularly used. Gas requires little storage space or effort on the part of the homeowner. Gas is far more energy efficient than wood. Gas fireplaces can still provide heat even without electricity, unlike electric furnaces. 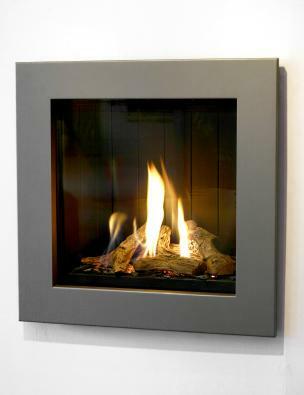 Unlike wood fireplaces, gas fireplaces can be lit and extinguished instantly with a switch. Gas is clean burning, releasing fewer emissions than wood burning fireplaces. With many models available, choosing a gas fireplace can be a difficult task. However, if an energy efficient house is the main concern, there are a few rules to follow. Always pick a fireplace that has an automatic starter in place of a standard pilot light. Automatic starters are far more efficient and an easy way to save energy. Choose a direct vent unit. Not only are they more energy efficient, but these types of gas fireplaces are also safer too. Look for a circulating fan with a squirrel cage type. They are quieter than other types of fans used for gas fireplaces. They can also force convective heat into a room more efficiently than other types of fans. A secondary heat exchanger will also help make the most use of the heat that the gas fireplace creates. In addition to basic concerns about energy efficiency, there are other options to consider when picking a gas fireplace. Make sure that a ceramic glass front is used in your gas fireplace, not the more common and inexpensive tempered glass. Tempered glass has a higher chance of shattering than ceramic glass. Ceramic glass is also better at transmitting infrared heat. Find out if your gas fireplace can be connected to your ductwork system. Many models are made that can be connected to standard ductwork, allowing for better distribution of heat throughout your house. Connecting to the ductwork is more costly than standard installation and may not work for your particular home, so check with the manufacturer and a licensed contractor before purchasing this type of fireplace. Get a variable setting control that allows you to adjust the temperature. Not only will this ensure that you have greater comfort, but it will also ensure that you can regulate the gas consumption, making it easier to save energy. Make sure when comparing these features that you choose a fireplace that has a fairly decent range as well. Converting a fireplace into an energy efficient gas fireplace is a great green living tip for anyone who likes to use a fireplace. If the cost of upgrading to gas is too great, think about sealing off the chimney to prevent drafts and energy loss. If you do decide to use your wood fireplace, look for wood source that will have less impact on the environment and save it for special occasions.